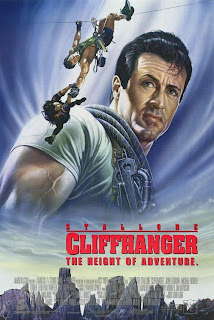 Recorded live at the Peoples Improv Theater in New York City, the gang spends the evening ripping on the Sylvester Stallone actioneer, Cliffhanger! Why would Michael Rooker take such a novice on a hard climb? Is Stallone's character working on a solo album? And how many accents is John Lithgow doing? Plus: Should the gang coordinate wardrobe better at live gigs? Cliffhanger stars Sylvester Stallone, John Lithgow and Michael Rooker, with a very special appearance by Paul Winfield; directed by Renny Harlin. WHM Live is normally offered as a side show on the WHM app and bandcamp page. This September, as part of "What Else Does WHM Have to Offer?" month, we're giving out this episode on the WHM Prime feed! For more exclusive content, be sure to pick up our app, or bookmark the bandcamp page! having some troble getting cliffhanger to work was the a problem with the upload? It is just like a regular episode except the audio quality is really bad.